Sanam Baloch is the most popular Pakistani actress and television presenter. She has been chosen by many directors because they feel happy with her making shows for various channels. She can speak in several local languages and it is her extraordinary quality that can never do another actress. Her fans accept very easily her good presentation and excellence performance. Young generations follow her style very passionately. The sensational actress is now completely busy with her regular programs. Sanam Baloch was born on July 14, 1986, in Karachi, Pakistan. Her father is Altaf Sheikh. She has two sweet brothers named Abbas Baloch and Farhan Baloch and three sisters named Sabreen Hisbani, Maheen Baloch and Ghawna Baloch, all of them take care her. 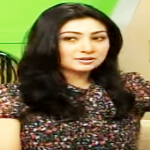 Sanam got admitted herself into the University of Karachi and successfully graduated. From her early childhood, Sanam Baloch was very much passionate to TV hosting and acting. She is good at Urdu, Sindhi and English. The popular host, Sanam Baloch kicked off her career in the Pakistan showbiz industry as a Talk Show Anchor in Sindhi television channel KTN. 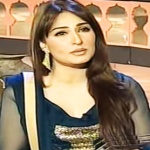 On KTN, Sanam hosted two popular shows in the Sindhi language ‘Sanam Small Room’ and ‘Diyoo’. She made her debut in the drama industry with the play ‘Kalaq’ in the Urdu language with Pakistani top actor Fahad Mustafa and Mahanoor Baloch. She got popularity for extraordinary performance in ‘Kalaq’, and then she presented many hits serials one by one. Sanam acted with Fawad Khan in the Hum TV’s drama ‘Dastaan’. The drama has increased the popularity of the actress eventually positioned her in a leading situation of the Pakistan showbiz industry. Sanam got Pakistan Media Awards in the category of best actress. Baloch with Fahad Mustafa and Fawad Khan is presenting many hits drama serials to her fans. 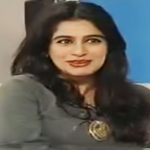 Now she is going to present ‘Kankar’ a drama of women’s rights with Fahad Mustafa. Sanam Baloch also performs in music videos. All classes of girls, men, and women like her performance very much. Sanam Baloch got married to Abdullah Farhatullah in 2013. Abdullah is also a Pakistani TV host, singer, and composer. He presents’ Asia Bhi Hota Hai’ which is very popular in Pakistan. Sanam Baloch and Abdullah Farhatullah are very happy in their family life. In spite of being busy with her career, Sanam tries to give enough time to family.